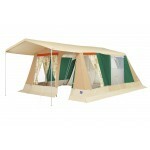 A luxurious, traditional frame tent offering spacious, light and airy accommodation and all those little extras (rows, flying cups etc.) that make it a perfect home from home. 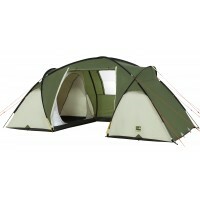 The Prestige 6 features waterproof cotton canvas walls and a treated 240g/m2 polyester roof for excellent breathability. 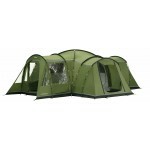 The frame is aluminium rather than the traditional steel which reduces the weight of the tent significantly without jeopardising its strength. Inside there are two separate bedrooms in a 4+2-berth configuration (the 4-berth also features a divider curtain so you can make it 2+2+2) with a curtained wardrobe area between them. 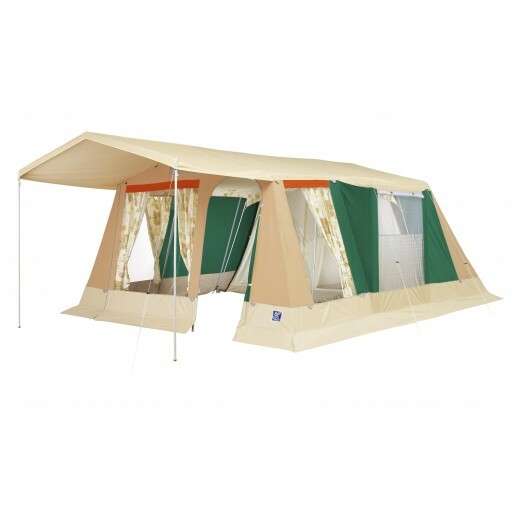 In the living space there is a kitchen area with mosquito netting and roll-up cover on the RH wall and on the opposite wall is a secondary entrance/exit door that can be rolled-up and secured when in constant use. 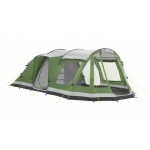 The living space also features no less than 3 large panoramic windows all with internal pull over curtains. 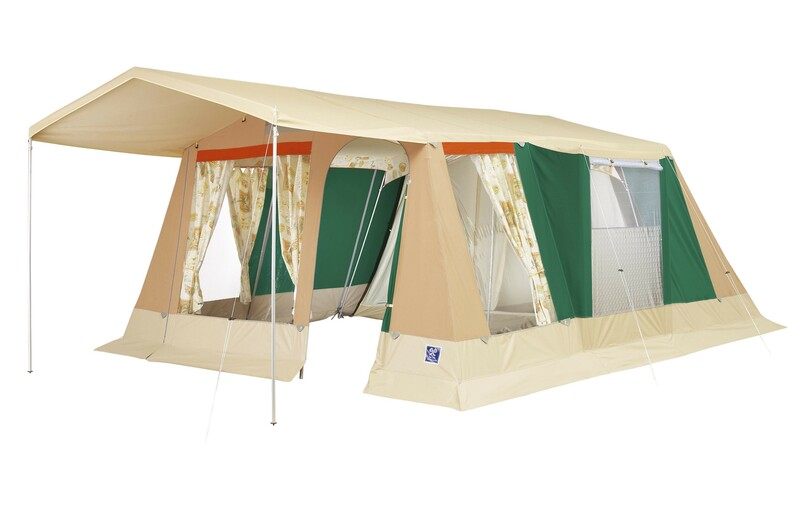 As you would expect from a premium tent, the Prestige also comes complete with PVC mudwalls, internal roof liner and integrated sun canopy with steel porch poles. 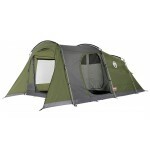 Trigano Prestige 6 Frame Tent.